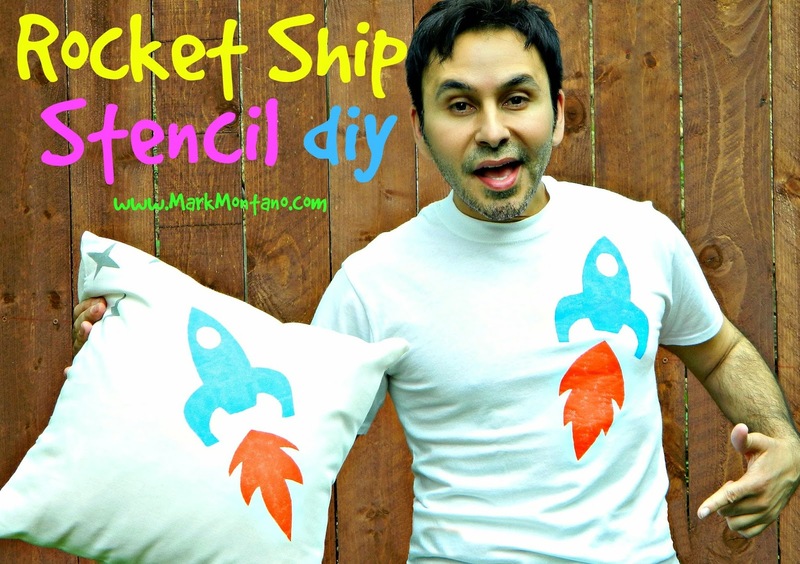 Every kid loves a rocket ship (especially this big kid) and this stenciled t-shirt and pillow couldn't be easier to make! 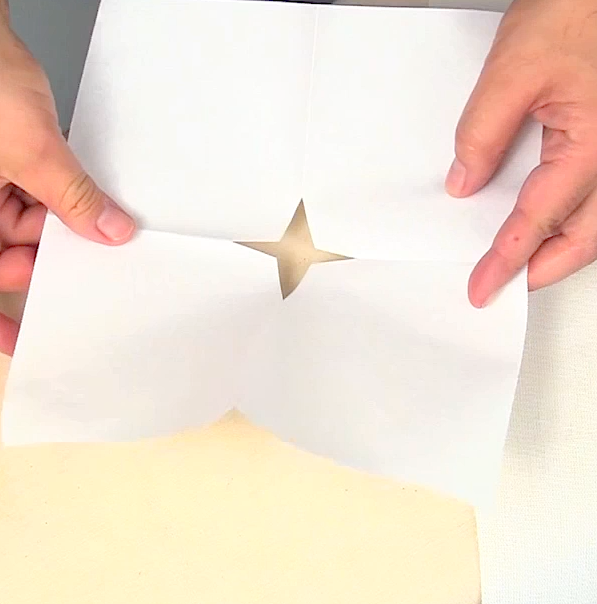 I used FREEZER PAPER. 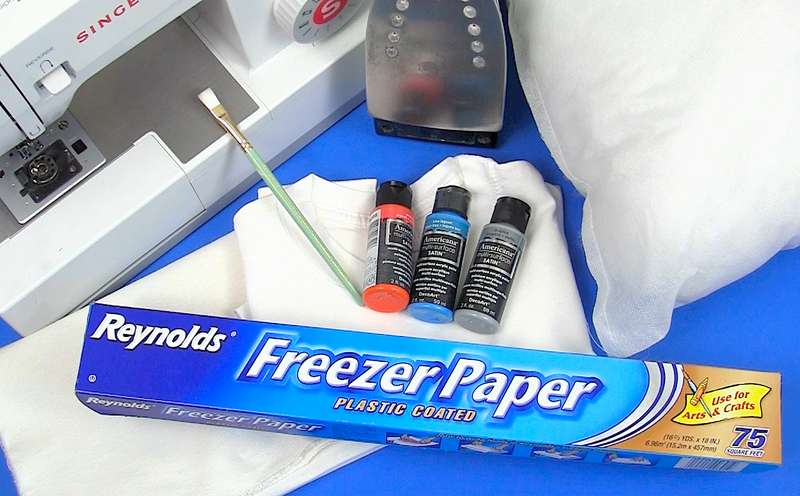 Yup, you heard me......plain old Reynolds Freezer Paper. 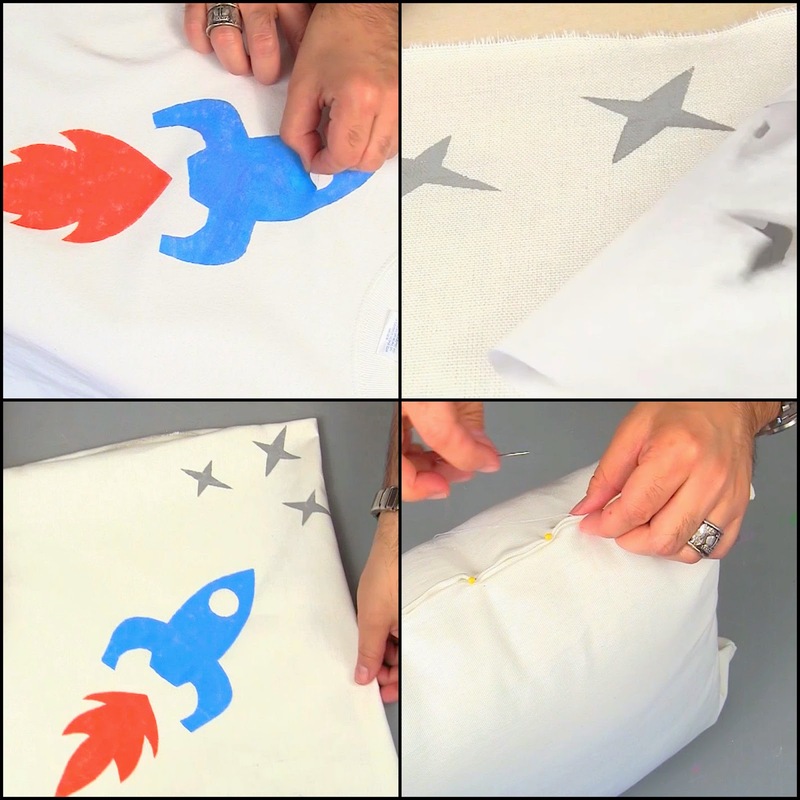 It has a plastic coating and can be ironed on fabric to create a crisp stencil in which to fill in with paint. 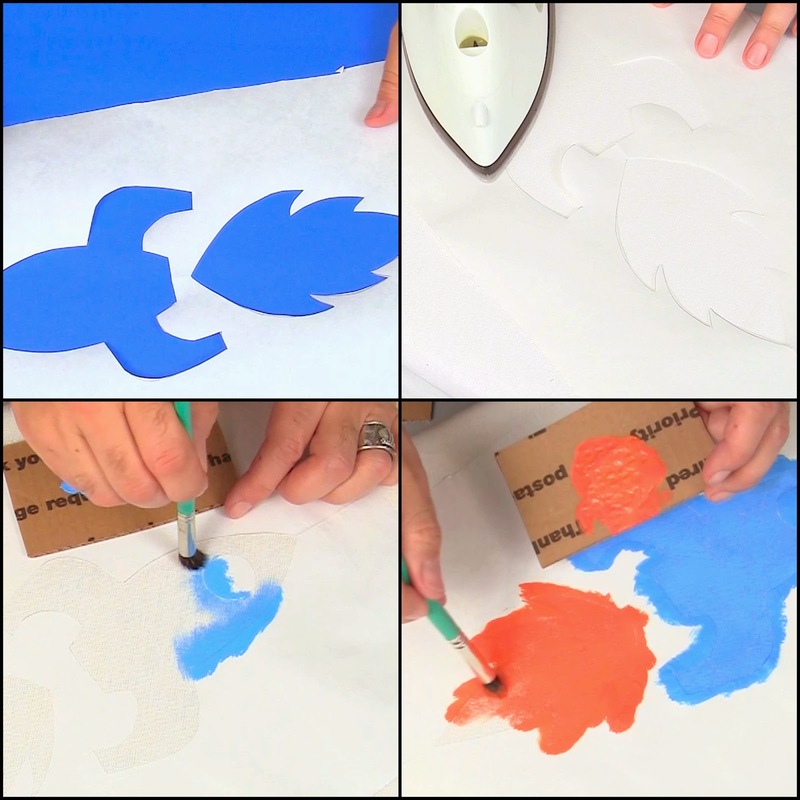 You're going to LOVE this technique! 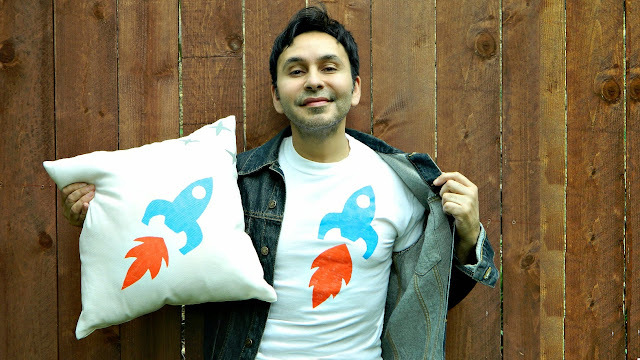 Use Americana Multi-Surface Satin Paints from DecoArt (which are washable) and you're ready for blast off! 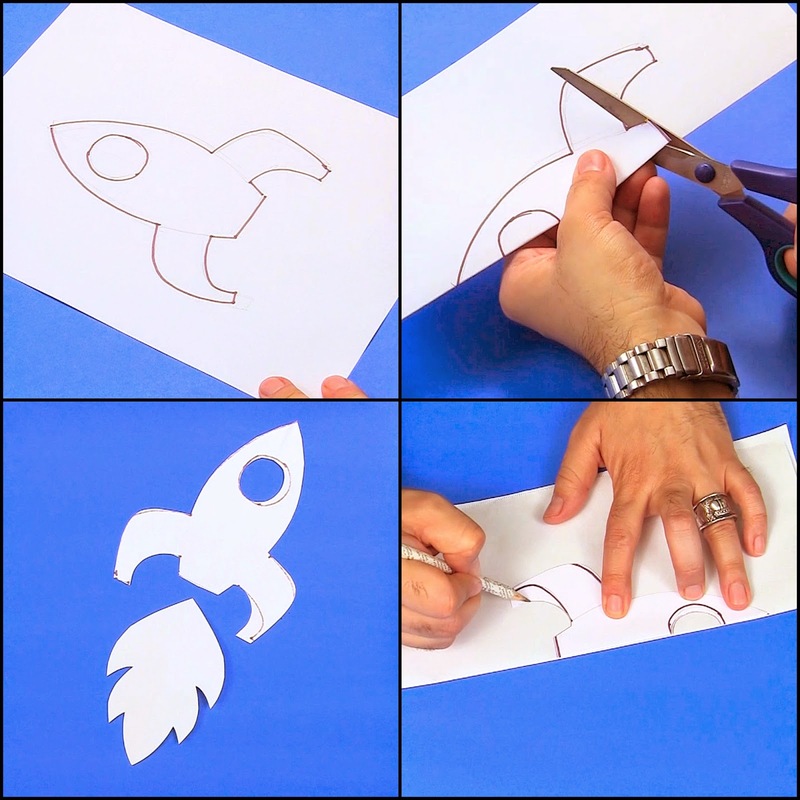 Try different shapes and have fun! 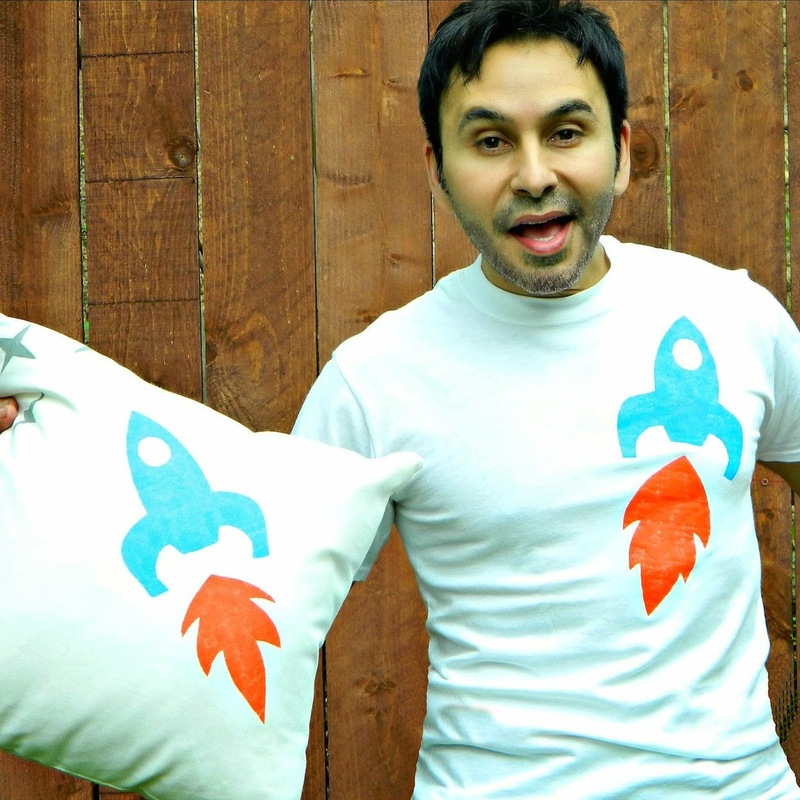 Peel off the freezer paper and enjoy your new Rocket Tee! Stitch the pillow closed and you're done!